UNION’s 2C2 modular lock range is state-of-the-art, and has been successfully tested and fully conforms to BS EN 12209 and are CE marked. Stainless steel latches and deadbolts feature as standard throughout the range, offering not only increased aesthetic appeal but also improved durability. The Disability Discrimination Act (DDA) makes it unlawful to discriminate against disabled persons in connection with access to and through most buildings. Building Regulations Part M (ADM) and BS 8300 provide guidance to specifiers and building managers in selecting products which help, rather than hinder, access for the disabled. 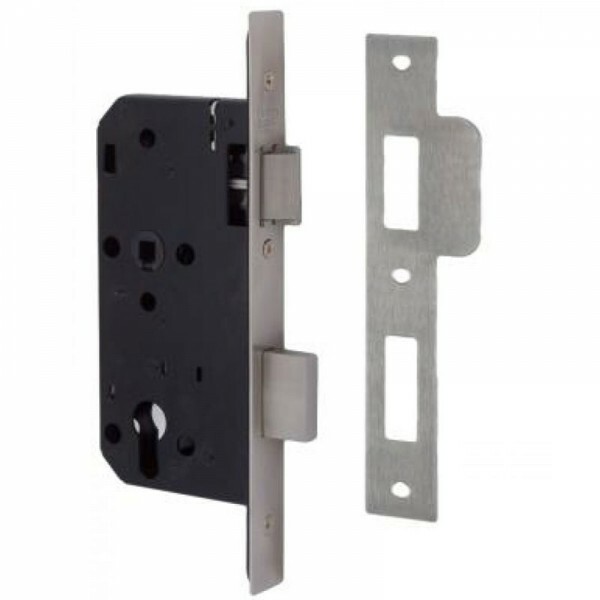 This lock range satisfies the dimensional recommendations of both ADM and BS 8300. Cylinder key and handle operation from either side of door. Latch bolt also withdrawn by cylinder key. Stainless steel deadbolt and latch bolt. Easily reversible latch bolt. Double throw deadbolt - 20mm projection. Pierced to accept bolt-through furniture with 38mm centres. 8mm follower. Gripping feature eliminates spindle rattle. Suitable for use with unsprung lever furniture.